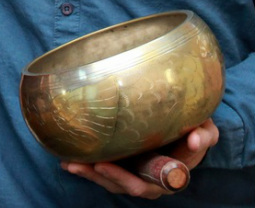 Our services are combined with a unique sound therapy that includes Tibetan singing bowl, chimes, Indian santoor music, and meditative harmonization. This unique combination helps patients enter into a state of peace and calm, further relaxing the muscles and tissue. Clients experience a deeper state of relaxation and well-being than traditional massage or stretching.